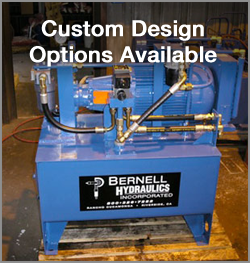 When you need a new hydraulic motor, Bernell Hydraulics is a great place to start. We can help you explore the wide variety of motors available to you, including Parker hydraulic motors Colton CA. Browse our shelves or the Parker product catalogue with one of our knowledgeable sales staff, and you can get all your questions answered. We can help you place a special order if we don’t have the exact motor you need in stock. Parker hydraulic motors Colton CA offer excellent durability and quiet operation, but only if you make sure you are getting authentic Parker parts. When you shop at Bernell Hydraulics, you can rest assured that you are getting the authentic products you need, because we are an authorized Parker parts distributor. We’ve been selling parts and servicing hydraulic systems since 1977, so you know that we can install your new motor and service it regularly to help you get the most out of your investment.